TheEmergencyRoom (a necessary space) was created by Olwen Fouéré in 2009 for projects ‘in need of immediate attention’ and as a virtual holding space for the development of art-based ideas, relationships and performance contexts. The development phase is followed by a partnership with an established production company for the full creation and production of the work. TheEmergencyRoom’s first project was Fouéré’s translation of Sodome, ma douce by Laurent Gaudé, which received its world première as Sodome, my love in February 2010 directed by Lynne Parker and produced by Rough Magic. The production was nominated for four Irish Times Theatre Awards, receiving the Best Sound Design and Best Actress awards. Other projects from TheEmergencyRoom include a 30-minute film by Olwen Fouéré and Kevin Abosch, Cassandra: fragments of a playscript, written by Anne Enright, featuring Foueré and artist Alice Maher. The Landmark Productions and Galway Arts Festival production of Misterman by Enda Walsh, starring Cillian Murphy, which premiered at the Festival in 2011, toured to New York in 2011 and to the National Theatre, London in 2012. Galway Arts Festival’s principal funding agents are the Arts Council and Fáilte Ireland with the Festival’s Leadership Partner Programme supported by NUI Galway, Ulster Bank and ABSOLUT. Founded in 1978, Galway Arts Festival is one of Europe’s leading international arts festivals, presenting many leading theatre and dance companies including the National Theatre of Great Britain, Royal Court Theatre, Propeller, Michael Clarke, Hofesh Shecter and National Theatre of Scotland (UK); Steppenwolf, Stephen Petronio, New York Theatre Workshop and Hubbard Street Dance (USA); Robert Lepage (Canada); Circa (Australia) and working regularly with leading Irish companies including Galway’s Druid Theatre Company. 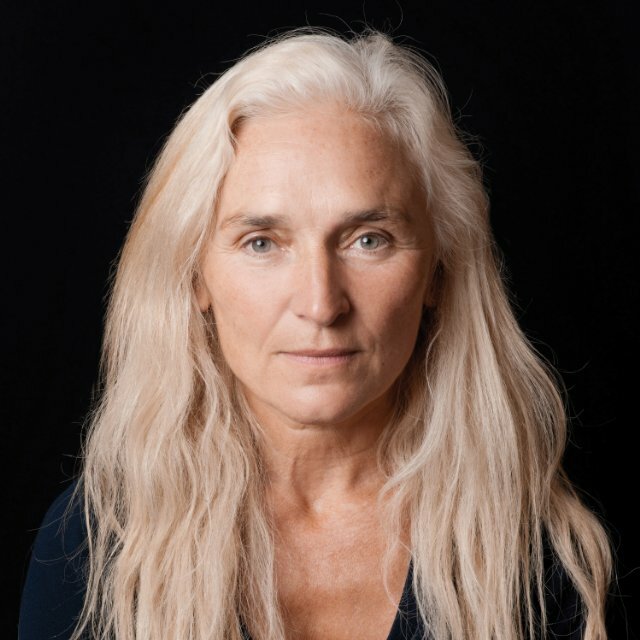 Born in Galway of Breton parents, Olwen Fouéré is a leading Irish actor and creative artist. Recent film appearances include The Wake by Oonagh Kearney, If Those Lips by Pat Mc Cabe (VIP/RTÉ), Camillo’s Idea by Aurélien Froment (Venice Biennale 2013), Horse by Yvonne McDevitt, Cassandra: fragments of a playscript by Anne Enright, (Irish Museum of Modern Art, Feb 2013), This Must Be The Place by Paolo Sorrentino (Palme d'Or selection, Cannes 2011), The Rafters by John Carney, The Other Side of Sleep by Rebecca Daly (Director's Fortnight, Cannes 2011) andYellow, the film by Amanda Coogan and Paddy Cahill (JDIFF 2012). Recent stage credits include Maria de Buenos Aires (Cork Opera House, Cork Midsummer Festival 2013), The Rite of Spring/Petrushka with Fabulous Beast Dance Theatre (Sadler’s Wells and Movimento Festival Wolfsburg 2013) and a season with Theatre for a New Audience, New York (Spring 2012). Other work of note includes Terminus (Abbey Theatre international tour 2011), Yellow re-performed (Dublin Theatre Festival 2010),Sodome, my love (Rough Magic/TheEmergencyRoom 2010), Under Glass (The Clod Ensemble/Sadler's Wells), her solo performance of a French stage adaptation of two books by Roddy Doyle, Paula Spencer, La Femme Qui Se Cognait Dans Les Portes (Bouffes du Nord Theatre, Paris), The Bull with Fabulous Beast (Dublin Theatre Festival 05/Barbican BITE 07/Berlin Speilzeiteuropa 08 – nominated for two Olivier Awards), and the award-winning Titus Andronicus (Siren Productions 2005). At the Abbey Theatre, Olwen created the title role in The Mai and the role of Hester Swane in By the Bog of Cats, both written for her by Marina Carr and for which she received numerous awards. She also starred in the Gate Theatre’s production of Salomé, directed by Steven Berkoff, which toured internationally, and Life is a Dream (Edinburgh International Featival 1998/Barbican Theatre, London/BAM, New York). A performer who encompasses many art forms, she has featured in major collaborations with numerous visual artists including Ireland’s internationally renowned James Coleman. Fouéré was an artistic director of Operating Theatre, which she co-founded with composer Roger Doyle. Her extensive performance work with Operating Theatre includes The Diamond Body(1984-87), The Pentagonal Dream(1986), Angel/Babel (1999), Chair (2000),Passades(2004), Here Lies (2005-2007) and Here Lies in film...(2008). Olwen has been nominated for Best Actress in the 2013 Irish Times Theatre Award’s for her work on riverrun. In addition to working with TheEmergencyRoom Jen is Producer for a number of artists and companies including Dylan Tighe, Emma Martin Dance (United Fall), HotForTheatre, Raymond Scannell and Sean MacErlaine. She has toured work extensively in Ireland and internationally. In the past her work has won the Irish Times Theatre Award for Best Production 2009 (No Worst There is None, The Stomach Box in association with Poetry Ireland) Dublin Fringe Festival Award for Best Production and Award for Best Design 2012 (Dogs, Emma Martin Dance). She has worked on partnerships, commissions and co-productions with The Irish Traveller Movement, Galway International Arts Festival, Cusack Projects Limited and Poetry Ireland. Currently Jen is Project Manager for the Laureate for Irish Fiction for the Arts Council of Ireland, previously she worked with Arts Audiences, Irish Theatre Institute, City Arts Centre, Dublin Writers Festival, RADE (Recovery through Art, Drama and Education), and the Abbey Theatre. Jen sits on the boards of RADE, Dublin Fringe Festival, and NAYD (the National Association of Youth Drama). She is the Independent Producer in Residence at Rough Magic and Manager of Rough Magic SEEDS. Kellie is a director, actor and theatre maker. As an ensemble member of Blue Raincoat Theatre Company for seven years, Kellie created a number of new works with the company including The Poor Mouth, At Swim Two Birds, The Third Policeman, The Strange Voyage of Donald Crowhurst, The Hollow in the Sand and Sanctuary. Directing credits for Blue Raincoat during this time include The Cat and the Moon, At the Hawk’s Well and remounts of The Bald Soprano and A Brief Taste of Lightning. Film and radio work includes Astray by filmmaker Johnny Gogan, Swansong (Zanzibar Films) and Know Your Station ( RTÉ Radio – shortlisted for the Prix Europa). Kellie has assisted director Mikel Murfi on a number of projects including B for Baby (Abbey Theatre international tour), Bird by Julie Feeney (Dublin Theatre Festival In Development programme) and Manchán Magan’s bi-lingual play Focal Point. Kellie trained at Ecole de Mime Corporel Dramatique, London and at the Roy Hart Theatre of the Voice, Maleragues and holds a first class BA honours in Theatre and History and an MA honours in Physical Theatre. She is currently Director in Residence at University College Dublin and Artistic Director of the UCD Ad Astra Performing Arts Academy. Recent theatre credits include Way Back Home (Louise White, Performance Maker), The Churching of Happy Cullen (Louise Lewis and Simon Manahan) Gibraltar: An Adaptation after Ulysses (Irish Rep Theatre, New York). Cure and Starlight (Fearghus Ó Conchuir), The Man Jesus (Lyric Theatre, Belfast), Elevator (THISISPOPBABY), Travesties (Rough Magic), Minute After Midday (15th Oak – Edinburgh Fringe First award-winner). 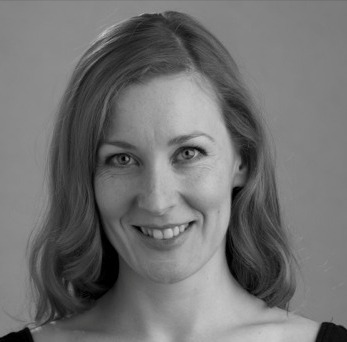 Alma has a BA in Music from Trinity College, Dublin and an MSc in Sound Design from Edinburgh University. She studied Organ to diploma level with the London College of Music and Media and is a graduate of the Rough Magic SEEDS Programme and the Next Stage Programme. Alma is musical director of performance group Pop Céilí who regularly perform at Electric Picnic and the Dublin Fringe Festival. Her most recent projects include Elephantom at The National Theatre. Alma has been nominated for Best Sound in the 2013 Irish Times Theatre Award’s for her work on riverrun. Stephen Dodd is a lighting designer from Dublin where he trained at the Samuel Beckett Centre, Trinity College. Recent lighting designs include: Tom and Vera (Desperate Optimists and Dublin Theatre Festival) Dublin Theatre Festival 2013; Lippy (Dead Centre) Winner of Best Design and Best Production – Dublin Fringe Festival 2013); Way Back Home (Louise White, Performance Maker), In Dog Years I'm Dead (Mirari Productions) all at Dublin Fringe Festival 2013; Dogs (Emma Martin Dance) (Winner of Best Design and Best Production - Dublin Fringe Festival 2012), Listowel Syndrome (Emma Martin Dance) (Dublin Fringe Festival 2010). Stephen has been nominated for Best Lighting in the 2013 Irish Times Theatre Award’s for his work on riverrun. Pádraig Cusack is a theatre producer and international tour consultant and is a Director of Cusack Projects Limited, a company dedicated to international theatre producing. He is currently Associate Producer for the National Theatre of Great Britain, International Tour Consultant for the Abbey Theatre, Dublin and International Advisor for Headlong Theatre (UK). He also advises the Royal Court, London; the Donmar Warehouse, London; Fabulous Beast, Ireland; Théâtre de la Ville, Paris; and Parco Theatre, Tokyo. For the National Theatre of Great Britain: People by Alan Bennett (UK), One Man, Two Guvnors by Richard Bean (UK, Australasia, New York), Grief (UK), Phèdre (UK, USA & Greece), The Pitmen Painters (UK, Ireland & USA), The Year of Magical Thinking (UK, Ireland & Europe), Waves (UK, Ireland & Europe), Happy Days (UK, Ireland, Europe & USA), Primo (South Africa & USA) and The History Boys (UK, Australasia & USA). For the Abbey Theatre Dublin: John Gabriel Borkman (New York), The Plough and the Stars (UK & Ireland). For Headlong: Six Characters in Search of an Author (Australia), ENRON (Ireland). On Broadway: The Pitmen Painters, Waves, Happy Days and Not About Nightingales. Current projects: co-producing Olwen Fouéré’s highly acclaimed riverrun in collaboration with TheEmergencyRoom and Galway International Arts Festival and co-producing the international tour of a trilogy of Beckett plays, Not I, Footfalls and Rockaby for the Royal Court, London and Mighty Mouth Ltd.